Comments Featured today is a pristine, pure Natural Ceylonese Yellow Sapphire or pukhraj gem. It is a gem that radiates a natural goodness and has an unmatched spotless aura. It is some what in keeping with this thought, which finds a manifestation in this gemstone of Jupiter/ Brihaspati/ Guru. It is a cushion cut natural yellow sapphire of 3.15 carats from the RatnaPura mines of Srilanka, which makes it a good jyotish weight. 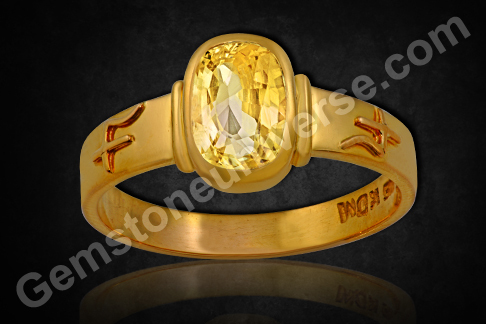 The gem is light butter yellow in color and has been set in 22 karat gold as a Jupiter Talisman ring, with the symbol of Jupiter on the shanks. The gem has good clarity and lustre, just as the shastras recommend the appearance of a jyotisha grade gemstone should be. Jupiter, according to Vedic astrology is the mentor / guru of the Gods. He is an especially important planet for female individuals as it significator of marriage and married life in the female individual’s horoscope. Comments The color green is looked at as one of the most soothing colors of the spectrum. It is a color that denotes freshness and renewal. It also symbolizes fertility and new possibilities and hopes. 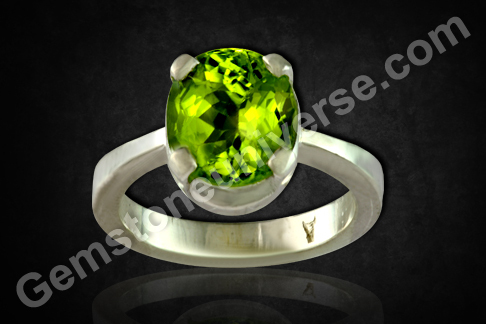 Featured today is a fantastic Peridot of 2.45 carats from Pakistan set in Sterling silver as a mercury talisman ring. The Peridot is the substitute gem for natural emerald or panna gemstone, but not a notch lesser in its beauty. The peridot is also known as olivine, because of its color and is often referred to as zarajad zaitooni (Zaitoon being Olive) in Arabic. 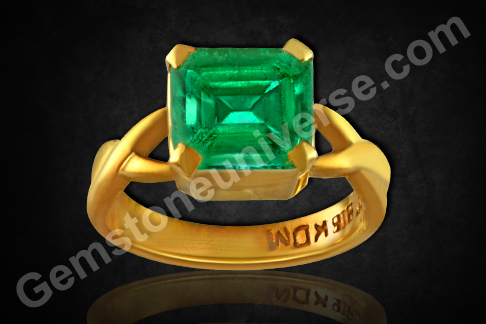 It is the perfect upratna to natural emerald for harnessing the energies of Mercury or Budha Graha. The Peridot was apparently the favorite gem of King Edward VII. His favorite color is widely known to be ‘Leek-Green’. Not surprisingly, the Edwardian jewelry incorporated a lot of peridots, emeralds, and demantoid garnets (green) among others. 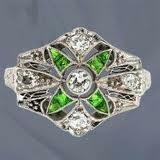 Take a look at some of the pieces of jewelry typical of the Edwardian Era, with the green stones and filigree work. It is also knows as the birthstone of the month of August, in the West. The peridot is especially believed to help with expression of self and overcome timidity. Vedic Astrology Gemstones- Blue Sapphire and Emerald benefits for success-Jyotish Gems. A proud Gemstoneuniverse patron speaks about his experience. 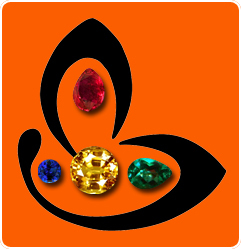 Mr. Binith Sejpal– a proud and satisfied Gemstoneuniverse patron speaks about positive impact of implementing Gemstone therapy with Jyotish Quality gemstones and how a Jyotish Blue Sapphire and Emerald brought about ability to overcome limiting life conditions, professional development and success in his life. With more than 2000 documented case studies of success we are happy and proud to serve the world of sacred planetary Gemology. Featured today is a fully natural, untreated, unheated Blue sapphire from the Ratnapura mines of Sri Lanka. 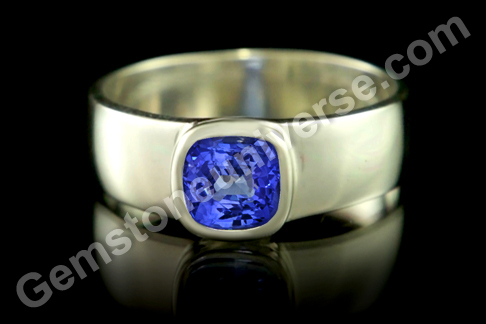 This Ceylonese Blue sapphire of 1.89 carats is a vivid sky blue in color and has been set in sterling silver as a ring. With great clarity and lustre, this gem is a tiny packet of intense energy. In Vedic Astrology, Blue Sapphire or neelam stone is the gemstone of Lord Saturn/ Shani. The best results can be got by harnessing the energies of this powerful planet through a natural Blue Sapphire talisman, duly consecrated and energised. Finest quality cat’s eye is got from Sri Lanka and Brazil. Notice the sharp chatoyant band that runs in a straight line across this smooth cabochon gem. Cat’s eye is a phenomenon gem and exhibits the optical phenomenon of chatoyancy, where the light falling on this cabochon gem resembles the opening and closing of a cat’s eye. Cat’s eye / lehsunia/vaidurya is the gemstone of Ketu. Ketu also known as the South node/ descending node is a karmik planet, very mysterious and mystical in its working. A person going through the dasha of Ketu, if it is favorably placed in the horoscope, should wear a natural chrysoberyl cat’s eye. 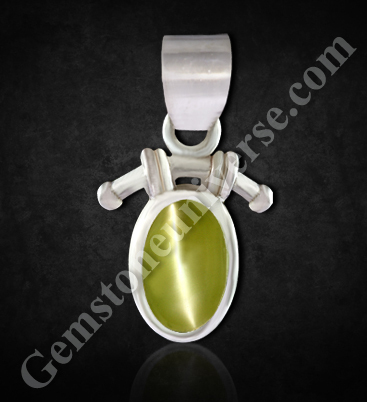 Chrysoberyl cat’s eye distinguishes itself from rest of the planetary gems in a very distinct manner. 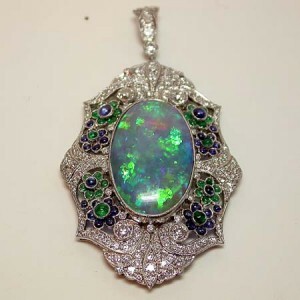 It is a phenomenal gem (exhibiting optical phenomenon) and therefore its appearance is very dramatic. The new lot of chrysoberyl cat’s eye from Sri Lanka featured today – NIDEESHWARAM 2012, is as mystical and enigmatic as the planetary energy it represents – Ketu or South Node / Descending node. Ketu is a karmic planet and its planetary periods can bring along dilemmas/difficulties that are difficult to even comprehend well, let alone deal with them effectively. More so, as the intent of this planet is to propel an individual towards spiritual evolution, the situations it throws before a person are bound to be different! All gems in this lot exhibit great chatoyancy (a phenomenon akin to opening and shutting of cat’s eye), with a single sharp band running across the domed cabochon surface. 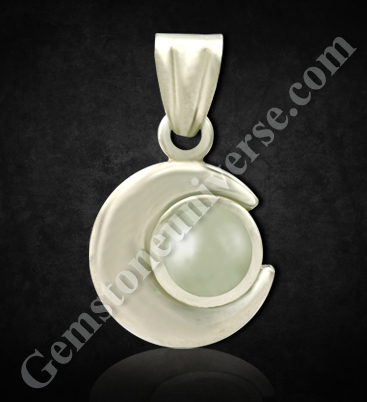 The chrysoberyl Cat’s eye gem is very specifically cut en cabochon to highlight chatoyancy. The shastras require Cat’s eye (also known as Lehsunia/ Vaidurya in Hindi) to be translucent, have a sharp straight chatoyant band running across and to be free of any web like structures. In other words, the silk of the cat’s eye should create a symmetrical harmony. 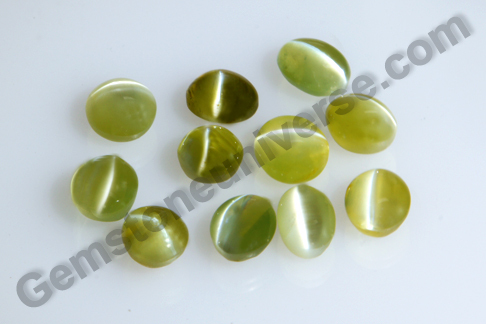 All these chrysoberyl cat’s eye gemstones are handpicked and conform to the shastric strictures. Ready and waiting to be fashioned into the perfect Ketu Talisman. And if you have found your way to natural gemstones and proper Planetary gem therapy, rest assured you will be making headway. Featured today is a lovely Natural Colombian Emerald of 2.93 carats, in the classic step cut set in 22 karat gold as a ladies emerald ring. What makes it stand apart is its lusturous summer grass green color – very appealing and eye catching! Mercury talisman made with natural emerald promises to harness the best of Budha energies. According to Vedic Astrology or Jyotisha, Mercury or Budha rules the two signs of Gemini and Virgo in the zodiac. If Mercury is placed well in an individual’s horoscope/ birth chart, it can give plentiful auspicious results through the wearing of natural untreated Emerald stone / panna. Featured today is a completely natural ceylonese Blue Sapphire that radiates phenomenal saatvik energies and promises all things good. It would be a protective sheild in times not so good and a magnet for good fortune when the time is favorable. The 3.51 carat, oval, Ceylonese Blue Sapphire is a pristine sky blue in color and has great clarity and lustre. It is an ideal gem set in a sterling silver ring as a Saturn Talisman harnessing the energies of Lord Saturn/ Shanishwara/ shani. 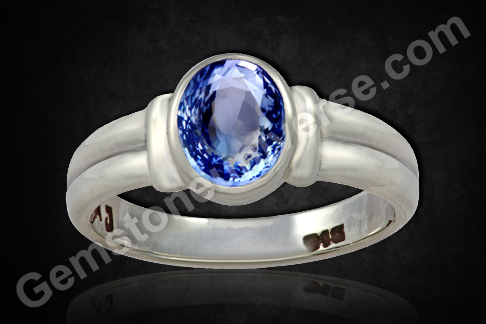 The markets these days are aflush with heat treated sapphires, a treatment that enhances their look. Note that in an untreated state, having this beauty, color and lustre with the great jyotish gemstone weight of 3.5 + carats makes this particular neelam gemstone a premium gem. Comments The Imperial golden yellow topaz is an alluring gem whose color ranges from pale yellow to deep honey brown. 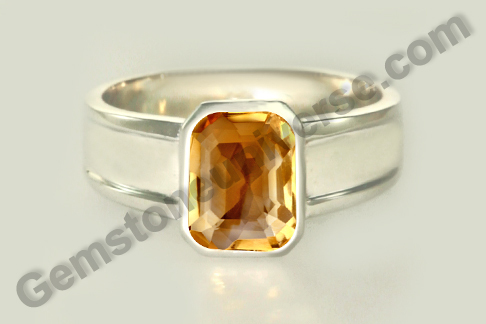 The yellow topaz is the upratna or the substitute gem that is used to harness the energies of Jupiter/ Guru/ Brihaspati. Its name is said to have derived from the Island of ‘Topazios’ where it was mined earlier. However, there is another school of thought that subscribes to the idea that the name is a derivative of the Sanskrit word ‘tapas’ which means heat/fire. Featured today is a magnificient Imperial golden Yellow topaz of 3.71 carats from Brazil, set in sterling silver as a Men’s Topaz ring. Do note the great clarity of the gem and the excellent lustre it displays. The golden Imperial Yellow topaz is in a classic emerald cut that helps bring out its appeal. The most famous Imperial yellow topaz belt lies in the area of Ouro Prêto in Minas Gerais, Brazil. The beautiful gem is often confused with the more commonly available Citrine. Imperial yellow topaz can however be differentiated from citrine on count of its greater hardness, density, and brilliance among other factors. The word ‘Imperial’ was added to the Topaz in honor of the Brazilian royalty, as it was the only significant gem in those times that was mined in the area. Meanwhile, feast your eyes on the American Golden Topaz. 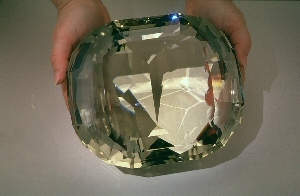 It is a behemoth at 22,892.50 carats, the largest cut yellow topaz in the world, and one of the largest faceted gems in the world. Featured today is a beautiful Australian natural pearl of 3.93 carats, set in a sterling silver pendant that resembles the moon. The pearl is a radiant white with no overtones of any other color which, going by the sacred texts, make it premium jyotish quality pearl capable of delivering superior results. A true rarity indeed. It is a certified natural pearl that is accomapnied by a pearl radiography report ascertaining its completely natural origins. Please google the phrase pearl farming and look at the pictures – do you think that the cultured pearl produced by any creature that is held captive in such a manner and forcibly made to produce a pearl by nucleating it be capable of harnessing saativik moon energies for your benefit? Would not it carry the undercurrent of the oyster’s mysery in it? Would you wear such a pearl for jyotish purpose?